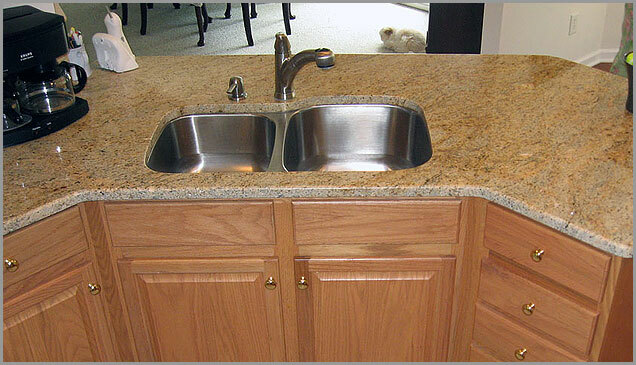 Photo Details: The Brazilian gold of this granite tops a convenient island with a sunken stainless steel sink. The brown and gold flecks in the Kashmir granite underscore the warm honey colored oak of the cabinets below. The smooth curves of the gold granite slab provide a convenient workspace while providing a beautiful golden highlight to the kitchen.